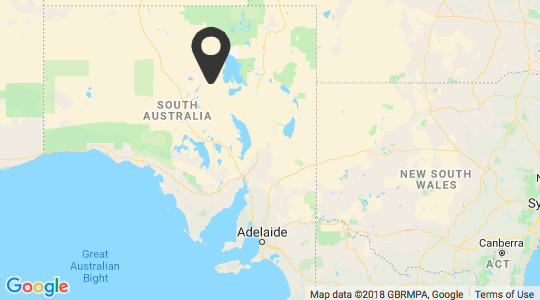 William Creek is reputed to be the smallest town in South Australia surrounded by the world’s largest pastoral station, Anna Creek Station, which is the size of Israel. It is the closest town to Lake Eyre North, in close proximity to the magical Anna Creek Painted Hills and the gateway to the Simpson Desert. The town has a permanent population of six, however during the winter months, this exceeds over 30… and one dog. Most of all, William Creek is home to the historical William Creek Hotel (circa 1935) - the old railway siding on the original Ghan railway line. Staying in William Creek, gives you the opportunity to take advantage of an early morning scenic flight over the spectacular salt lake of Kati Thanda-Lake Eyre or the remarkable Anna Creek Painted Hills. Slow down and have a drink at the iconic William Creek Pub! In 2018, the William Creek Hotel was a finalist in the South Australian Tourism Awards. William Creek is in the middle of nowhere, on the way to somewhere, and an icon of the South Australian Outback. Operating in the middle of the Outback, things do run a little differently. Our food and supplies are delivered once a week by truck from Coober Pedy and our water comes from bores. Water is a precious commodity in the Outback and what does rain does fall in William Creek is used for drinking water. Power in William Creek comes from the town’s diesel generators. Although there is plenty of power, we ask that you are conservative and reduce your use where possible including turning off lights and heating / air conditioning when not in your room. Blackouts, although infrequent, do happen and power is usually restored quickly.